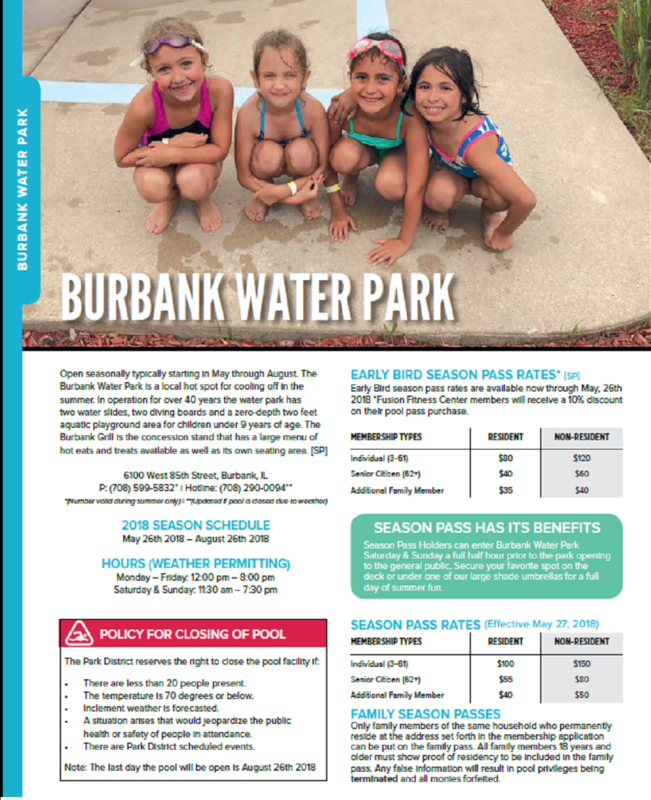 No mail-in registration will be accepted for swimming pool passes or pool parties. All residents must show proof of residency to receive resident rates. Proof of residency consists of valid driver’s license or valid State ID. No refunds will be granted on Season Passes. Children 2 years & under are admitted free and therefore do not need a pass. Children under 10 years of age shall not enter pool unless accompanied at arm’s length by a parent or guardian at least 18 years of age. Parent or guardian must be present at time of registration if child is under 18 years of age. Park District reserves the right to ask for birth certificates. FAMILY SEASON PASSES: Only immediate family members of the same household who permanently reside at the address set forth in the membership application can be put on the family pass. All family members 18 years and older must show proof of residency to be included in the family pass. Any false information will result in pool privileges being terminated and all monies forfeited. Patrons will be issued a photo identification card upon registration. The Pool pass must be presented every time you enter the water park. Replacement cards are $5.00 and can be obtained at the Fusion Recplex or Newcastle Park Recreation Center.